I’ve always loved this quote from Benjamin Disraeli. But it occurs to me that perhaps what is more dangerous than not learning from history, is learning from history. What most Americans have learned from their experiences with blackouts is quite dangerous: Our collective experience with blackouts is that they are temporary. The power will be back in a few hours (or days, at most) so all we need to do is wait it out. The power company will rescue us. Maybe some of us are even “prepared” for a blackout and have a generator and some gas. Maybe we have 72 hours worth of canned food stored away like FEMA tells us. Even in the Emergency Management world, every exercise comes to an end. Every hurricane comes to an end. Every blackout comes to an end. Moreover, we have the “edge effect” where there are always resources available from outside the blackout area to assist us until the power comes back. We are complacent. “Blackouts are temporary” we think. But what if the power went off and did not come back for a year? While Congress has studied – and failed to act – on this scenario for years, more and more people in Emergency Management are thinking about a long-term blackout scenario. There have been several articles of note, including an article in Fire Engineering by Ken Chrosniak: Electric Power Blackout: The Power of One. 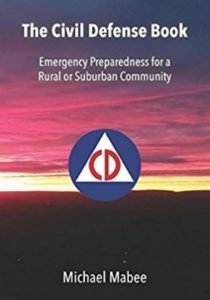 Another good article to read is by Garrison Wells published by The Colorado Springs Gazette: Threat of Massive Grid Shutdown Increasing in Face of Disasters. If you are an emergency manager, you really need to read these articles: You and your jurisdiction are not prepared for a long-term blackout. 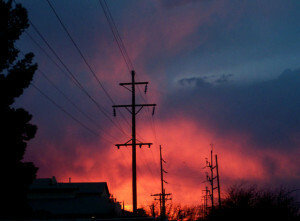 And more recently, Eric Holdeman has blogged about electromagnetic pulse in Emergency Management Magazine online. There can be no serious debate that our electric grid is vulnerable to a number of things, from terrorist attack, electromagnetic pulse weapon, solar flare to a good old fashion ice storm or errant tree branch. While a long-term failure is considered by some to be a remote possibility, the possibility is frightening. And now there is evidence that both Iran and North Korea are actively pursuing electromagnetic pulse weapons with the specific purpose of taking down the U.S. electric grid. Does anybody out there really think that they wouldn’t do it? U.S. “retaliation” means little to either country. Taking out “the great Satan” (in Iran’s case) would be worth whatever we sent back – so our usual deterrent strategy is not helpful here. There is an excellent article about this in the Washington Times by R. James Woolsey and Peter Vincent Pry: “When Iran goes nuclear: Failure to protect the nation would amount to dereliction of duty“. Electrical power is necessary to support other critical infrastructures, including supply and distribution of water, food, fuel, communications, transport, financial transactions, emergency services, government services, and all other infrastructures supporting the national economy and welfare. Should significant parts of the electrical power infrastructure be lost for any substantial period of time, the Commission believes that the consequences are likely to be catastrophic, and many people may ultimately die for lack of the basic elements necessary to sustain life in dense urban and suburban communities. In fact, the Commission is deeply concerned that such impacts are likely in the event of an EMP attack unless practical steps are taken to provide protection for critical elements of the electric system and for rapid restoration of electric power, particularly to essential services. Okay. Even if there was a massive grid outage, somebody would rescue us, right? Wrong. The United States is completely unprepared. The sad thing is, we don’t have to be. Even if Congress fails to act, individual communities can do much to prepare for and mitigate such a scenario. So, one of the most dangerous things we have learned from history is that blackouts are temporary events lasting hours or at most a few days. We are completely unprepared for a long-term national scale blackout. Until we start thinking about it, the lives of millions of Americans remain in peril. 9/11would just a minor incident on the scale compared to what a long-term national power outage would be. But, it can start in your community. FEMA won’t be there to rescue us in a long-term national blackout. We will have to rescue ourselves.